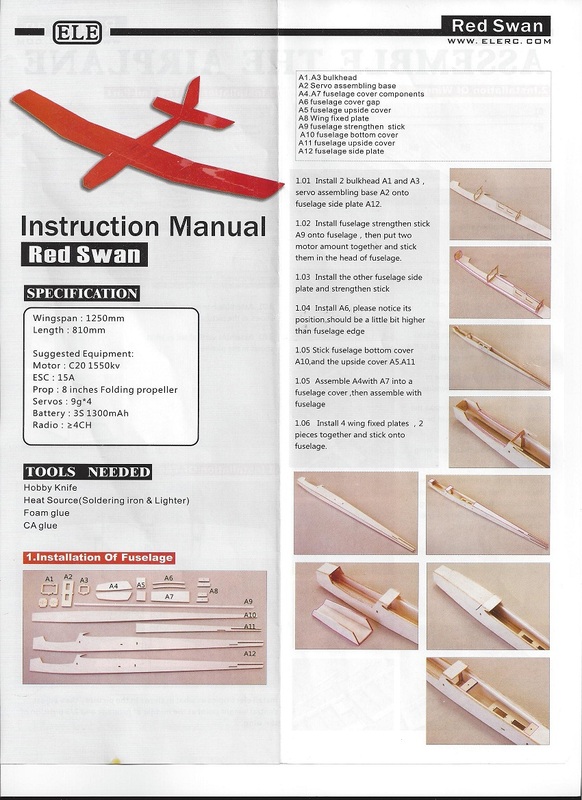 Last winter I started and completed a balsa glider kit from Hobby King, the "Red Swan". It wasn't an ARF, or pre-assembled, it was simply laser cut balsa and plywood that had to be assembled, covered, and flown. I've got to admit that I wasn't expecting a whole lot from this plane. 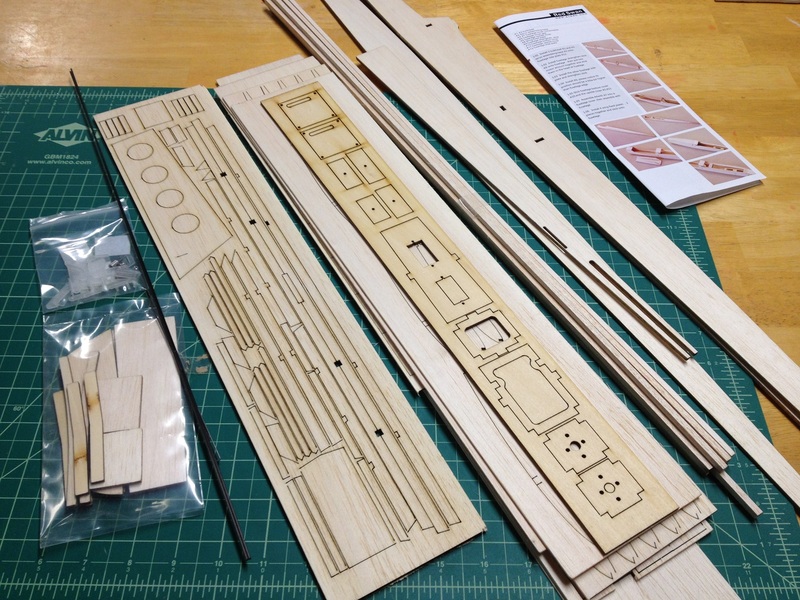 The instructions were crap, the quality of the laser cutting was hit-or-miss, and there was no real information on how to actually build the plane. But I did it anyway. I made mistakes, but none were too bad. I got good at thinking three steps ahead to make sure I didn't build myself into a corner. And best of all I got to help people out who were trying to build this plane with various levels of success. Once it was completed I took it out to the local park and gave it a test flight. A few trim adjustments were needed, but it flew much better than I had hoped. As of this writing I've got 33 flights totaling just over 9 hours of flight on it since Spring, and I enjoy it now as much as ever. I usually fly with a small 850mAh 3 cell battery and climb to the point where I can barely keep orientation. The throttle is then cut and I glide as long as possible trying to find some thermals to help me. On one occasion I had enough lift that I had to force the plane into a series of shallow dives just so I wouldn't lose it. Usually I'll get a couple minutes glide followed by 30 seconds of hard climb. Flight time is usually around 25 minutes. But with that said, the plane is not as good as it COULD be. I built it too heavy by using too much glue, epoxy, and other bad building techniques. The plane itself is also over-engineered and heavier than it needs to be. The design is good, but the execution was lacking on my part and that of the people who designed it. So I decided to try building it again. Not just taking apart the plane and fixing it, as that would take too much effort and may not work as hoped. Plus I like flying the plane and depending on weather it may be a better choice than one that is lighter. My goal with this build was to lighten it up as much as possible, while not making it too fragile. I also will go with a folding prop to lessen the drag. If possible I want to switch to a 500mAh battery instead of the 850 to save a few more grams. As mentioned, this is a kit that has to be glued together. Tools needed are pretty simple. A hobby knife, sand paper, glue, etc. Special tools are needed for covering the plane, but I'll cover that later. The kit comes as shown, with some of the hardware needed to build the plane. Flash forward a bit and I've got the basic fuselage built. It's very simple with only a few formers inside along with the firewall and servo tray. Construction took maybe 90 minutes or so (once I figured out what the instructions were trying to say). I wanted to keep Red Swan #2 as light as possible and one of the easiest ways to do this was to lighten the fuselage sheeting. 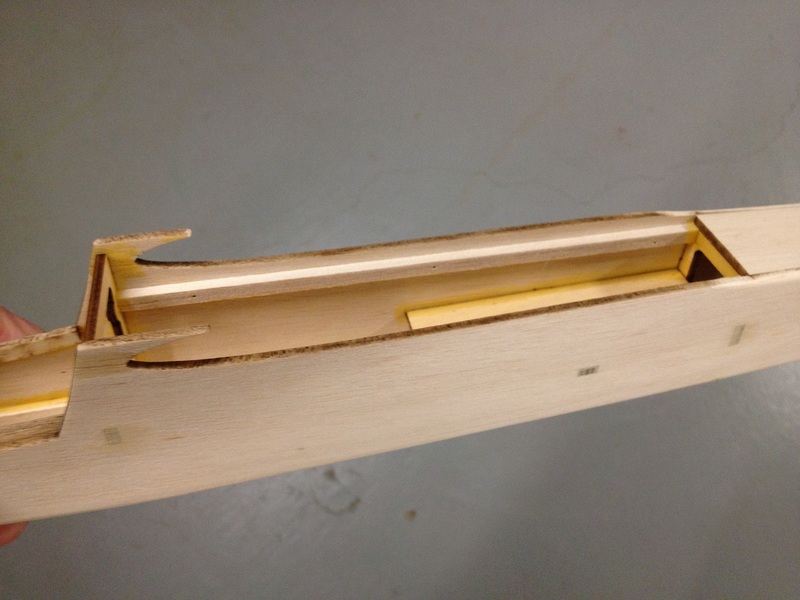 All sheeting was done with 1/8" balsa, which in my opinion was way too heavy. To change this I made the cut-outs shown on the side pieces and did the same on the top/bottom sheeting. I'm hoping to decrease my AUW by about 20% compared to Red Swan #1. With the sheeting lightened I was able to glue it all together. I cut similar holes into the canopy (shown in the "open" position) and servo tray. I don't this fuselage being any more weak or frail compared to the previous build. It'll just be stronger once I cover it, so hopefully I'm on the right track. I could have probably removed even more of the sheeting and done a little reinforcement inside with thin carbon fiber, but maybe next time! The fuselage on RS#2 isn't done, but I wanted to tackle the tail feathers to get that portion done and out of the way. I like the feeling of accomplishment in completing something like that, it keeps me from getting tired of the build. The tail on RS#1 was built per plans with no modifications, and it worked well enough. 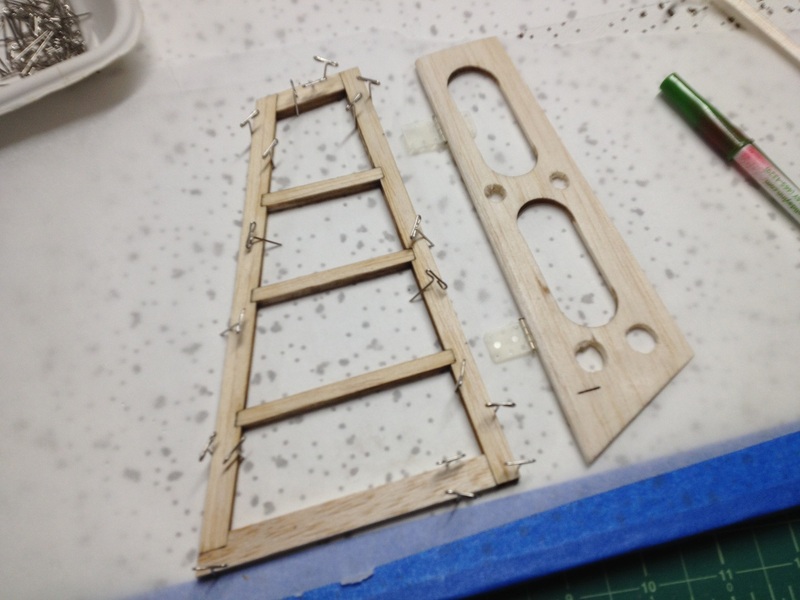 I used Blenderm tape for the hinges, which also worked, but I am going a different route for RS#2. 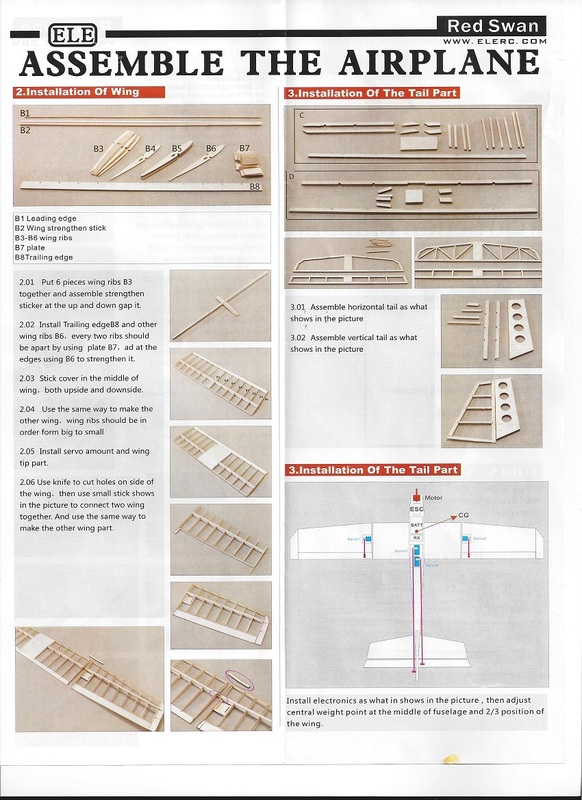 The "balsa plane" shown in this picture really does a great job, and I strongly recommend it for anybody building with balsa. It's much better than just sanding and sanding and sanding. 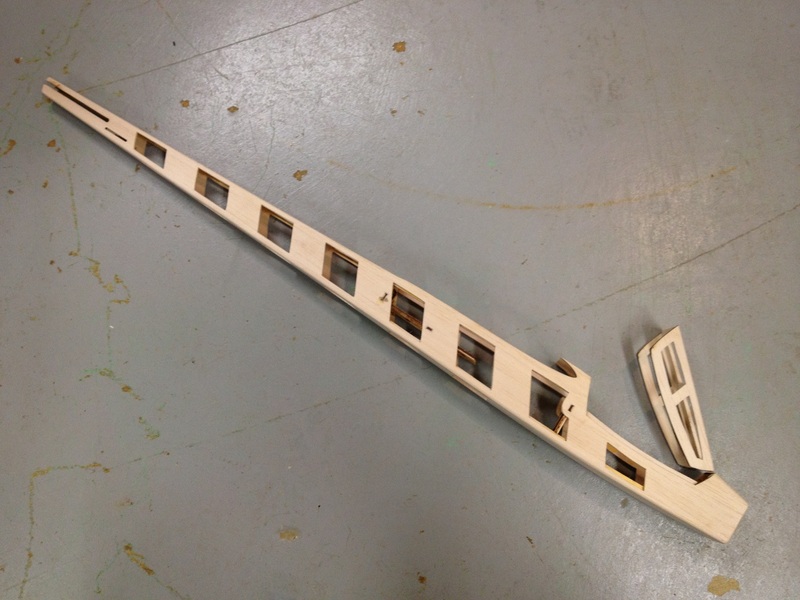 The vertical stabilizer and rudder for RS#2 takes shape. The stab is per plans, but for the rudder I've removed some material between the stock holes to try and reduce the weight a little. Four smaller holes were also added. It's not much weight, but it adds up in the end. The horizontal stabilizer is also mainly stock, as there wasn't much that I could remove without compromising the structure's strength. I did end up taking out a bit of material in the center of the stabilizer, which you can see in the last picture on this post. When it came time to decide on a color scheme I was at a loss. I know what I WANT to do, but I'm saving that scheme for the next balsa glider which is sitting on the shelf waiting it's turn. For this one I'm going with a red and white scheme. Mainly because I have those two colors already in the SoLite covering. It's lighter than other coverings, but not as strong. I've put a few holes in RS#1 already during landing, but it's very easy to fix so I can live with it. Plus it's less likely to warp the structure as I shrink it. 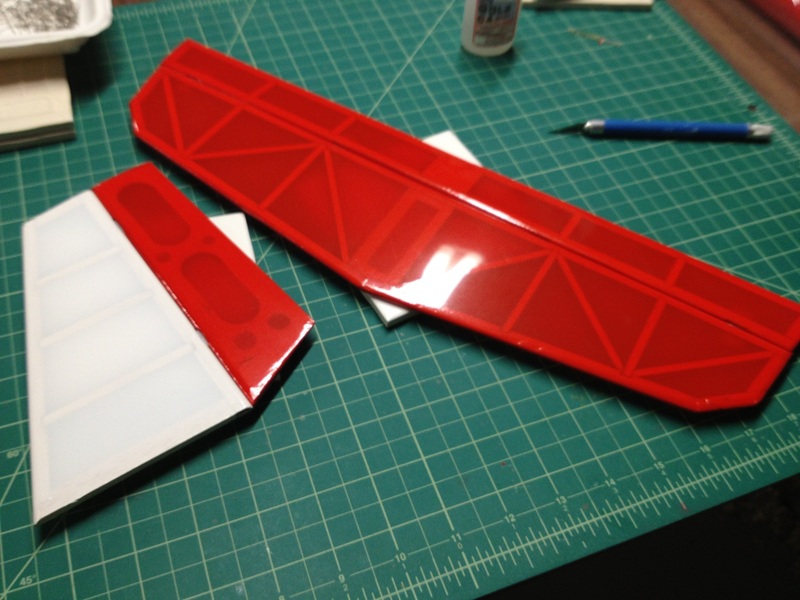 I might use a heavier covering on the bottom of the fuselage just to help avoid too many repairs. Hinges on RS#2 are the Tyvek style fabric hinges held in place with CA glue. It works well on the tail, but for the ailerons I'll probably stick with pinned hinges like I have on RS#1. More to come as time permits. 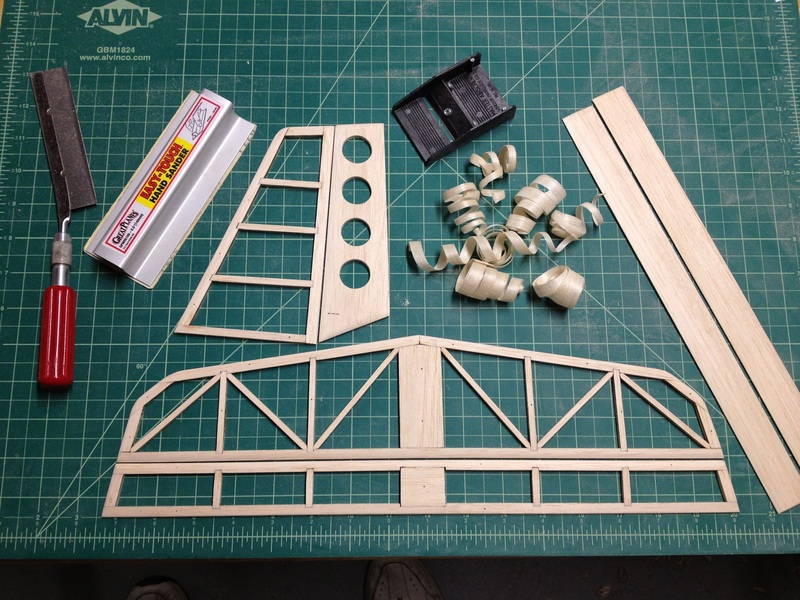 It's still "flying season" and I've got three balsa builds going right now, one more on-deck, a re-build of a crashed foam P-51, a new Super Cub to assemble (a brushless Hobby Zone SC with ailerons, flaps and floats), plus I'm teaching my dad to fly. I don't know that I'll finish this RS to fly this season or not, but it'll fly. You built that with no plans and Chinese instructions?! My hat goes of to you sir! I could do it but would have lost patience several times over. I'm good at instructions but not jigsaw puzzles! Love the work you have done. Technically, the kit includes "instructions". It even says "Instruction Manual" at the top. But the two page document is poor at best as the pictures are tiny, the translation is laughable, and the information provided is either barely useful or downright wrong. 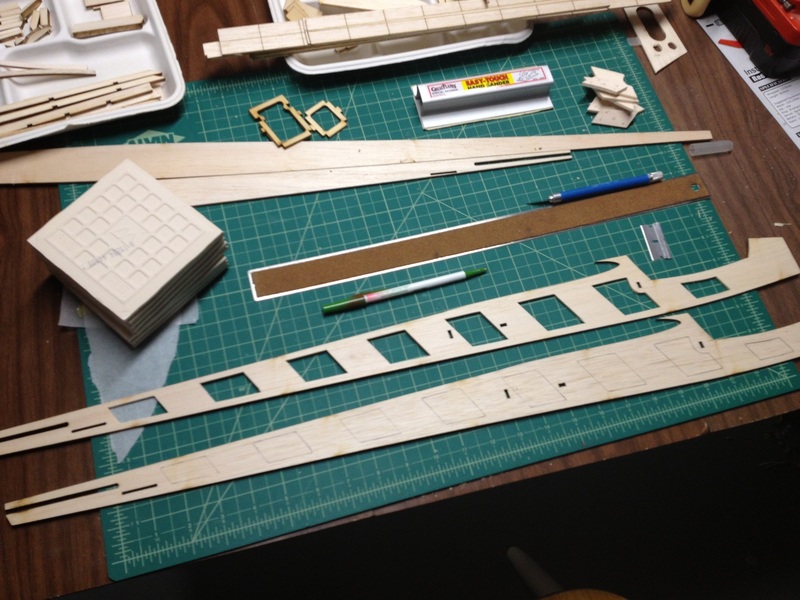 The fuselage wasn't hard to build, but there are few parts so not much room to go wrong. The wing had me thinking for a few days before I dared glue anything, as the plans didn't give any decent information on how to arrange the ribs. Once I figured it out it all made sense, almost like the designers knew what they were doing. Too bad that information never made it to the crew who drew up the instructions. In all their glory I present to you the entire build manual for the Red Swan. Zoom in and read it, it's pretty comical at times. Bad instructions with a Chinese product. It just can't be! Yup. And if only the instructions were decent the whole build would have been pretty easy. But the plane flies well enough that I'm glad I pushed through and finished it. I've got two batteries charged for it and RS#1 is packed up and ready to fly tomorrow morning. Two balsa, one foamie, and a foam board wing, all ready to go. I've been thinking hard about doing another balsa build lately and this might just be the ticket. I'd seen the red swan a few times but passed on it since it looks like another polyhedral R/E ship. I have 3 two meter birds that I don't fly now due to space limitations. At least with ailerons I'd feel better about flying in the backyard! It is a fairly easy build IF the instructions were good. I have a full build thread on RS#1 on RC Groups HERE which helps a lot. Much more detail than I've posted here including what I feel is the correct way to build the wing. Well, at the time at least, as I am planning to change things a bit for this build (which also has a build thread on RCG HERE). I did make a few mistakes on this build, such as mounting the motor outside in front of the firewall instead of inside the cabin. However, the CoG ended up perfect like that with an 850mAh stuffed in the nose or a 1000mAh slightly further back so no extra dead weight was needed to balance it. 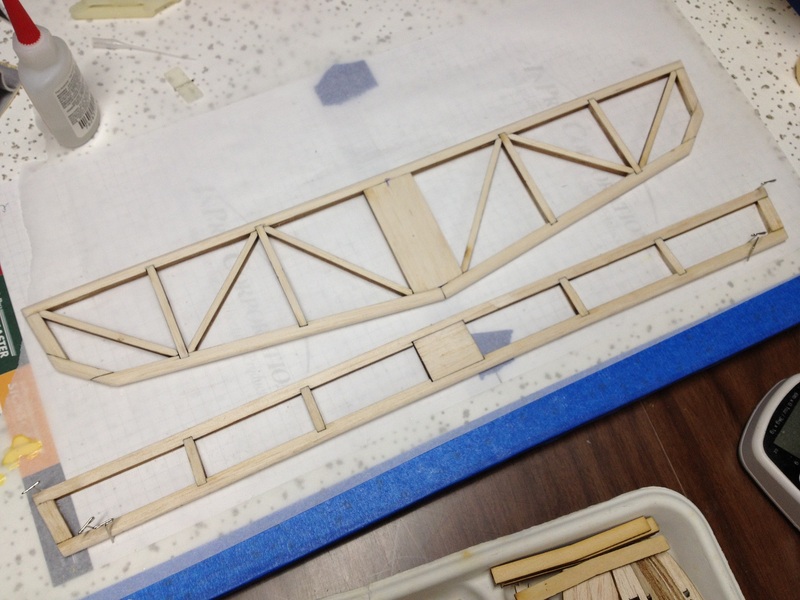 That is something I'm waiting to see on #2, if I need weight somewhere due to all the balsa I've removed. Oh, and for flying in smaller areas mine will easily do some tight turns while gliding along slowly, but depending on the winds and thermal lift it sometimes has a very long glide slope so you'd want at least a fairly open area for the landing. Here is some video from a flight earlier this year shot with one of those cheap keychain cameras. YouTube did a decent job editing out the vibration from the wind and plane. The park is still under construction so it's very wet and undeveloped in most areas, but it has gotten much better as the year went on. For gliding ability, here's another video with the same camera. I found some thermal activity and was able to keep the glide going for 4 minutes while relatively close to the ground. Nice! Now I have to get one! Well, if your personal whim takes you there the absolute BEST laser kits for WWI era aircraft can be found at Aerodrome RC. I cannot wait to build another but balsa is on the back burner for my foam experiments. I've had their site bookmarked for the past year or so, and almost purchased the 36" Fokker DVII, but they didn't have it in stock (I think they cut the kits as ordered) so I went with a Mountain Models Lucky ACE. I will buy from these guys some day, assuming the current backlog of work doesn't continue to grow out of control! There are currently three balsa builds in various stages of construction on my bench right now plus the Hobby King "Sun Bird" (a smaller copy of the well known Bird of Time). I love the look of the BoT and can't wait to get started on the Sun Bird, but I really should get some stuff finished first. 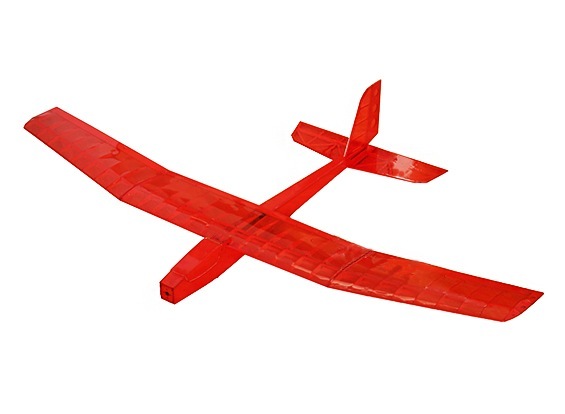 Plus I'm still hoping to convince the FliteTest guys to showcase a group build of a balsa kit to hopefully get more people interested in trying it. Once winter gets here and the flight time is limited I've got a lot of dust to make! 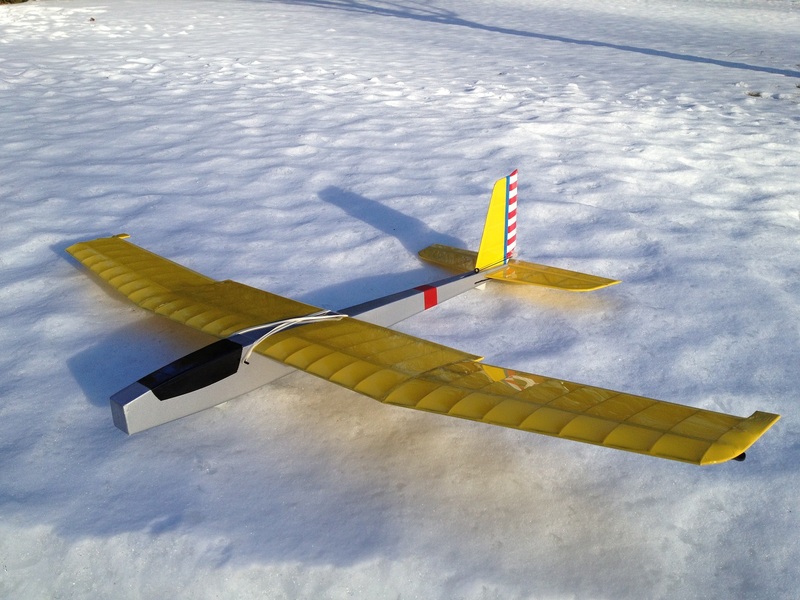 For covering I really recommend using a lightweight film like SoLite for the wing. The fuselage is strong enough to handle anything, but the wing is pretty light and the heavier film might warp it. I'm guessing SoLite (or equivalent) is available numerous places, but I just order it from Mountain Models. If I have to get more colors I'll grab some solite. Ah, I didn't know you had a good history with film. As long as you know what you're doing the heavier stuff should be ok. I'm not gentle enough with the heat (yet) and I'd turn that wing into a mess with the heavy film! Heavier/stronger film would be nice for the puncture resistance. I've patched my wing twice and the horizontal stab once as the park I fly at often has rough cut grass/weeds to make for a little damage. Lucky for me the patching process is fast and easy. I haven't done anything with the Red Swan for a while now, as I'm trying to get every last minute possible flying instead of building. Building season isn't far away and I don't want to miss a minute in the air! In the meantime, I just ordered an Eagle Tree stand-alone altimeter. I'm really interested in seeing how high the RS can go. I've had it high enough that it was a dot in the sky. If I looked away I may not find it again. Lack of substantial pattern on the bottom of the plane doesn't help, but with as high as it has been I don't know if it would make a big difference. I have no idea what to expect for altitude, but am hoping for over 1,000' above ground level.